This Mithril Ore farming guide will list the places where I was able to farm the most Mithril in the least amount of time. It's recommended to have Mining skill 150 before you start farming, because you will get more ores. The zones listed below are not really different from each other, you will usually get the same amount of Mithril no matter which one you choose. Burning Steppes is a great place to mine Mithril. You will find a mountain called Deadmaul Rock, there are loads of Mithril Deposits inside the caves there, but you have to fight mobs and you will get dismounted if you go inside. I think it's better to skip the caves, because there is plenty of Mithril at the corner of the map if you just follow the route I recommend. 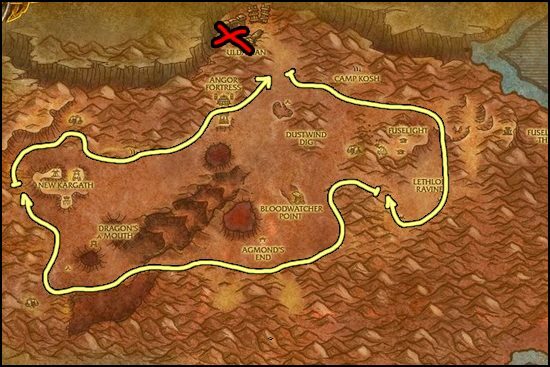 Badlands is pretty close to Burning Steppes, so if there is someone already farming there you can go to Badlands or if you level is not high enough to go to Burning Steppes. This zone has an easy and simple loop to follow. I marked a cave with a red X on the map, only go there if your level is a lot higher than the mob's level in the cave. It's full of Mithril but there is a bunch of mobs there, so you will actually get less Mithril if you can't kill the mobs fast enough. 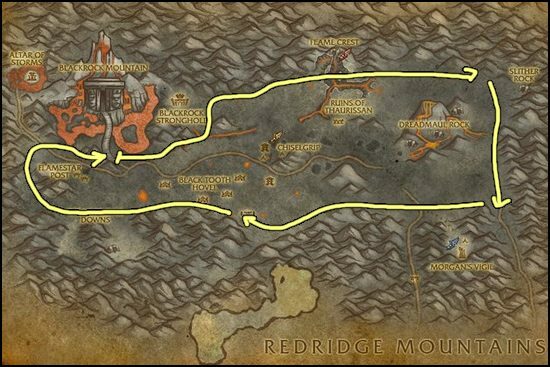 The route in Felwood is really simple and easy to follow which makes this an excellent place for farming Mithril Ore, just run a big loop around the zone. 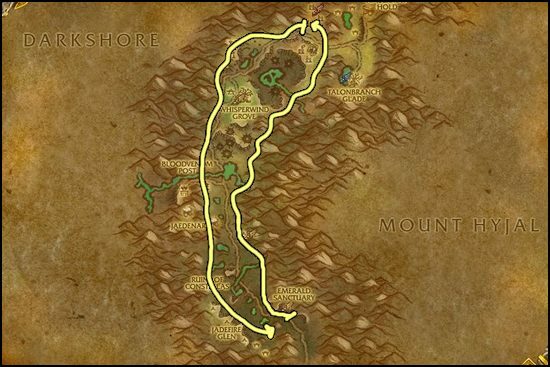 These are the best zones if you want to farm Mithril Ore. Once you are done mining Mithril, go to my Thorium Ore Farming page!